Prior to joining Camden National Bank, Wendell served as VP, Mortgage Loan Officer for Gorham Savings Bank for four years and VP, Residential Loan Officer for Kennebunk Savings Bank for 17 years. 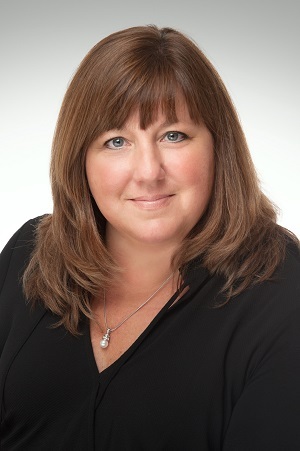 She brings deep experience and expertise in the residential loan space in Maine. Camden National Bank’s Mortgage Banking department offers programs and services in all regions served by the bank. They are well known in Maine, Massachusetts and New Hampshire for their unique Hope@Home program, started in 2015 to provide vital assistance for those in need. Every time a customer finances a home through Camden National Bank, the bank donates $100 to a local homeless shelter. Through Hope@Home, the bank has given over $184,000 to community shelters. A native Mainer and a graduate of Thomas College in Waterville, Wendell currently serves on the Community Review Team for United Way of York County, and she resides in Kennebunk with her husband and children. Camden National Corporation (NASDAQ:CAC), founded in 1875 and headquartered in Camden, Maine, is the largest publicly traded bank holding company in Northern New England with $4.0 billion in assets and nearly 650 employees. Camden National Bank, its subsidiary, is a full-service community bank that offers an array of consumer and business financial products and services, accompanied by the latest in digital banking technology to empower customers to bank the way they want. The Bank provides personalized service through a network of 60 banking centers, 76 ATMs, and lending offices in New Hampshire and Massachusetts, all complemented by 24/7 live phone support. Comprehensive wealth management, investment, and financial planning services are delivered by Camden National Wealth Management. To learn more, please visit here. Member FDIC.